You must have noticed that cannabidiol has started to gain popularity nowadays because of its medical benefits in alleviating symptoms caused by an anxiety disorder, post-traumatic stress disorder, depression, chronic pain, seizures, and type 1 and 2 diabetes. There were also reports that it could be used to relieve the effects of radiation therapy and cancer chemotherapy. I have been using CBD oil for quite some time now, and I must agree that it does make me feel better every time I experience bouts of anxiety and depression. It also relieves nausea and provides temporary relief from my headaches and other body pains. Hard to overdose on CBD, which makes it safe for you to consume. Another advantage of it is that it does not have a psychoactive effect, unlike when smoking regular marijuana. All you must do is to put a few drops of it in water and drink it as you would in any beverage to enjoy its benefits. Other uses of CBD that I know of are to rub it on your skin to heal rashes and to take it in “Vape” form, wherein the oil is heated to be inhaled. Inhaling CBD is fast becoming popular because its effects are felt sooner that way. Below are some questions and their corresponding answers to help enlighten you about CBD in case you want to be a user. 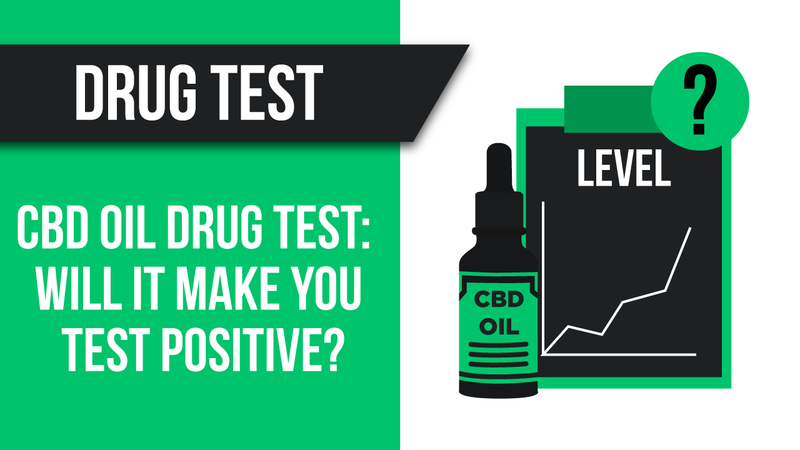 1 Will CBD oil make you test positive on drug tests? 2 Do drug tests only include blood tests? 4 Can CBD vape oil show up on a drug test? 5 Do drug tests also test for CBD? Or does it only test for THC? 6 How long does CBD last in a person’s system? 6.1 Is CBD the same as marijuana? 6.2 What are the natural benefits of CBD? Will CBD oil make you test positive on drug tests? Well, it depends. The answer to that lies on whether the actual CBD product contains plenty of THC or not. THC, or Tetrahydrocannabinol, is one of at least 113 cannabinoids found in cannabis. THC is the ingredient in marijuana that gives that temporary “high” and is what triggers a positive result on a drug test. Traditional drug tests trace the amount of THC in the blood, but not the amount of CBD, so you would be safe if there is minimal or no THC in your CBD oil. You can check the bottle’s label to find out how much THC it contains. CBD per se does not have THC as they are different cannabinoids or cannabis components. Still, there are CBD products that do contain a touch of THC(Full Spectrum products). If it is not plenty enough, then you can be sure that it would not show up on a drug test. However, you should be aware that there are advanced drug testing methods that can detect even the slightest trace of THC in your blood. The good news is that these kinds of drug tests are so expensive that companies or employers cannot afford them. At the end of the day, it would be best to use a product that does not contain any THC at all. These products are also called “pure” CBD and have been known to make the users pass global anti-doping test standards. They were developed as prescription medicines though, so you may need to talk to your local physician. The products come in liquid, capsule, Isolate and vape forms. Do drug tests only include blood tests? No. Drug tests may also include hair, saliva, sweat, or urine screening to test for the presence of illegal drugs. Or, it could also be a combination of any or all the bodily fluids. One of the most common methods of testing is through a urine sample, as it is the easiest to administer. The urine method is typically used in employment or when applying for a new driver’s license. You should know that drug tests identify past drug usage and not just the present consumption, so your results may end up positive unexpectedly. There are some types of drugs that remain in your system for weeks and months after it has been used. Awareness is the key, and you should know the effects of the substance you will be using. CBD has its own duration of stay in your system, and I’ll share more of it below. As I’ve mentioned before, you can get tested when applying for a new job or a new driver’s license. There are also companies that regularly conduct drug tests for their employees on a set time interval, for example, every six months or one year. Professional and collegiate athletes also get tested for various types of illegal drugs and performance-enhancing substances on a regular basis. They are fined, suspended, or banned altogether if found positive depending on what kind of substance they have used or abused. Former convicts who are on parole or probation may also be required to undergo regular drug testing. Can CBD vape oil show up on a drug test? The same as with a regular CBD oil, a CBD vape oil could only be traced on a regular drug testing method if it has enough THC in it. CBD vape oils that are THC-free will not show up in routine drug tests typically administered by companies or employers. However, there are more advanced drug tests that could distinguish CBD even in THC-free products, but not THC, which is perfectly fine. Even if a tiny amount of THC is present, it will still give off a positive result in urine or blood tests, so be wary. The best thing to do when you know that you will be subjected to a scheduled drug testing for whatever reason is to avoid using CBD products temporarily. In the meantime, you can use over-the-counter or prescription medicines to alleviate any pain or discomfort you may be experiencing. You can ask your doctor about it. Just remember that CBD stays in your system for quite a while, so you may have to stop using it for some time in preparation for a drug test. Do drug tests also test for CBD? Or does it only test for THC? There are drug tests that only check for THC, while there are also some methods that may include CBD testing as well. Regular drug tests typically do not check for CBD and only focus on tracing THC. Also, CBD is not considered as an illegal substance because it is not psychoactive in nature, so you do not have to worry in case it gets traced. How long does CBD last in a person’s system? In general, it does not take that much time as it takes only around 3 to 4 days before CBD traces totally run off your body. So, for example, you are scheduled for a drug test on a Friday, you can skip using CBD products starting the Monday before the test, and you might be safe. CBD oil works 5 to 30 minutes after consumption, and its benefits would go on for about 3 to 4 hours. However, as I mentioned a while ago, even if you are no longer feeling its effects, traces of CBD are still in your blood for the next 3 to 4 days. So, it would be better to stop taking it for the meantime prior to a drug test. Your best bet would be to stop taking CBD a week before a scheduled drug test because the 3 to 4 days CBD life in the body has not yet been verified as official by medical experts. No. CBD is just one of the major components of marijuana along with THC. CBD and THC are both cannabinoids, but THC is more active, and it is the ingredient that causes mind-altering effects or the so-called “marijuana high” on its users. CBD, on the other hand, is not psychoactive. It does not affect a user’s state of mind or thinking, but rather provides a lot of health benefits, which makes it safe for consumption. THC is the usual target of drug tests, not CBD. What are the natural benefits of CBD? CBD can have many practical benefits to your body if you use it responsibly. What makes it a better alternative to prescription or over-the-counter drugs is that it is all-natural, which makes it easier for your internal organs to process. According to studies, CBD offers pain relief and lessen chronic inflammation if used moderately. Some researchers have even recommended CBD to become a certified chronic pain treatment instead of the regular painkillers that you know on the market. The other known benefits of CBD oil are to help a person quit smoking and withdraw from drug addiction. Contrary to popular belief, CBD is not addictive, and it can actually help someone who is suffering from drug addiction. CBD alleviates the symptoms experienced when withdrawing from prolonged and habitual drug and cigarette use, including anxiety, chills, insomnia, and other withdrawal symptoms. CBD can have a lot of medicinal and health benefits if you use it with caution and care. It is not traceable when it comes to regular drug tests as long as you use a product that is THC-free. CBD oil usually lasts around 3 to 4 days in your body, so it is better to abstain from it if you know you will be undergoing a drug test. Cannabidiol 101: Ultimate Guide for Beginners 2019 > CBD Oil Drug Test: Will It Make You Test Positive?